If you have a cat, then you know that they can sometimes get into situations that don’t always work out well for them. One such instance is when they get into a battle with a bee or wasp. When this happens, you feel sorry for them, but at the same time you can’t help but laugh. Whether they intentionally mess with these stinging insects or just find themselves in the wrong place at the wrong time, more often than not they come out on the short end of the stick. The results, while serious, often look comical. And looking back in hindsight, you probably get a little chuckle out of the situation. If you have a cat who has gotten in a tussle with a bee, wasp, or other stinging insect, you know just how comical it can be. So, don’t feel too bad. As long as they are OK, feel free to chuckle at your pet’s debacle because, more than likely, they were the ones who started it. 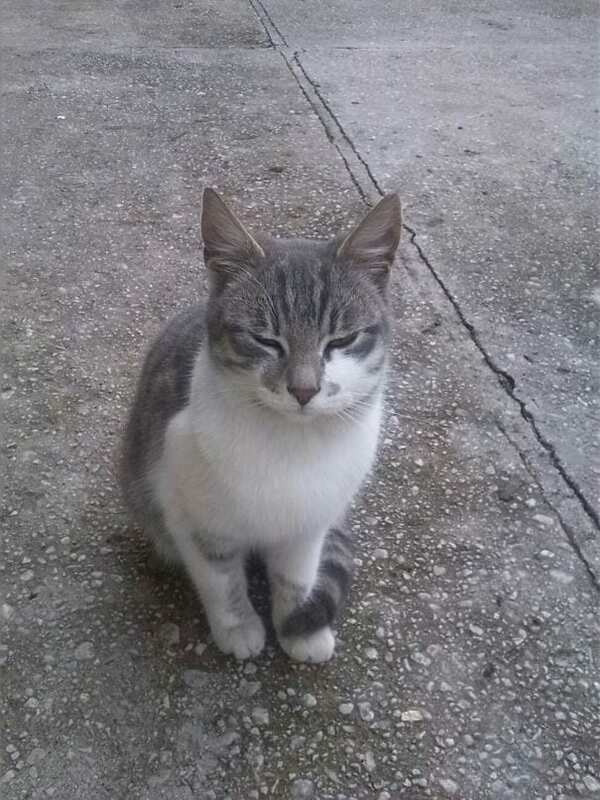 This sad-eyed cat looks like he learned his lesson. Bees always win. At least he got away without too much injury. Maybe next time he’ll think twice before messing with a bee, or at least to run if he comes across one. The more cats you see who have gotten into it with bees, the more and more apparent it will become that cats aren’t very good at winning fights with bees. 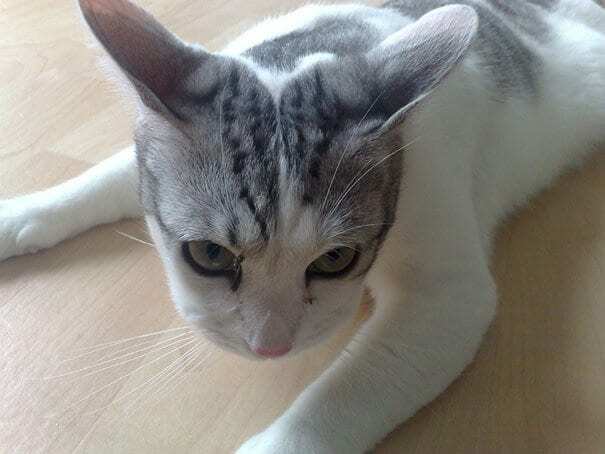 Take this cat for example … obviously, he tried to swat the bee away, unsuccessfully. Another paw bee sting. This one doesn’t look too bad at least. 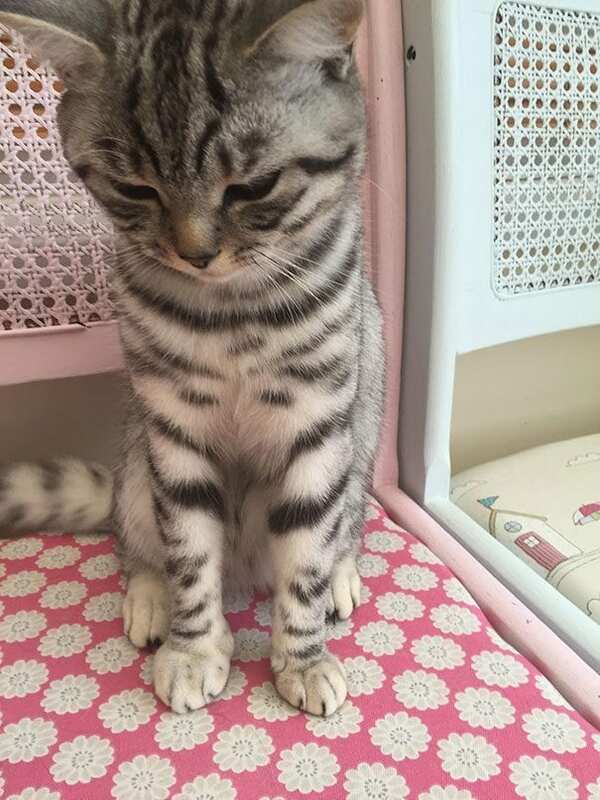 I’m curious if he is looking down at his swollen paw or if he is looking down in shame for losing the fight. Cats do have their pride after all. 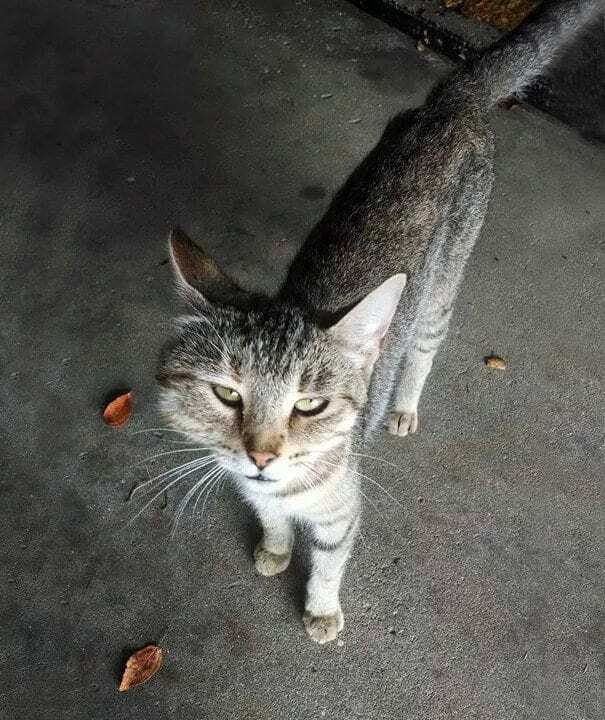 Awww … either this poor cat either got into it with the wrong bee or he has a very strong chin. I am guessing the former. It’s OK if you can’t help but let out a laugh at this one. Look at that chin! 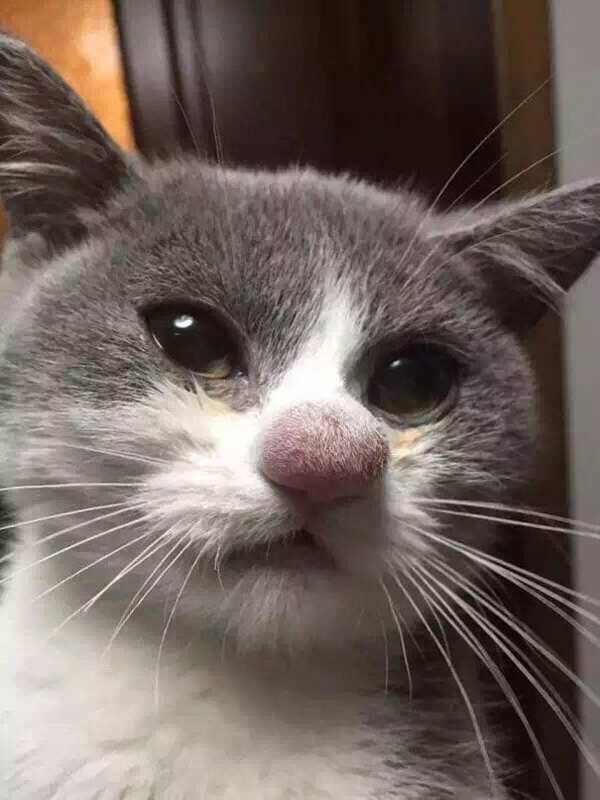 Looks like this sweet cat’s nose got just a little too close to a bee. He seems to be reflecting quite intensely on the unfortunate incident. I wonder if he is going over the steps he took to figure out where everything went horribly wrong? 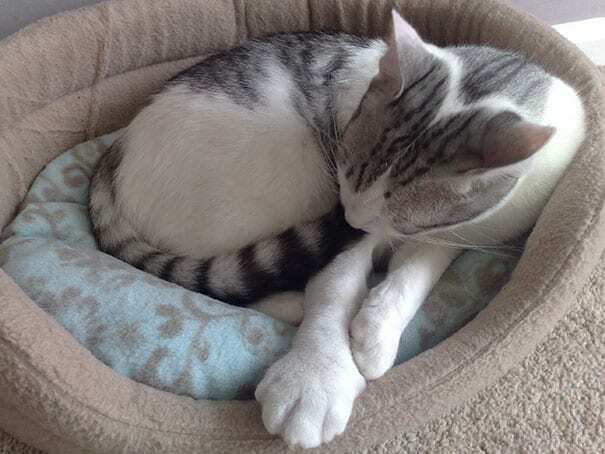 This beautiful cat was granted the gift of one gigantic paw. 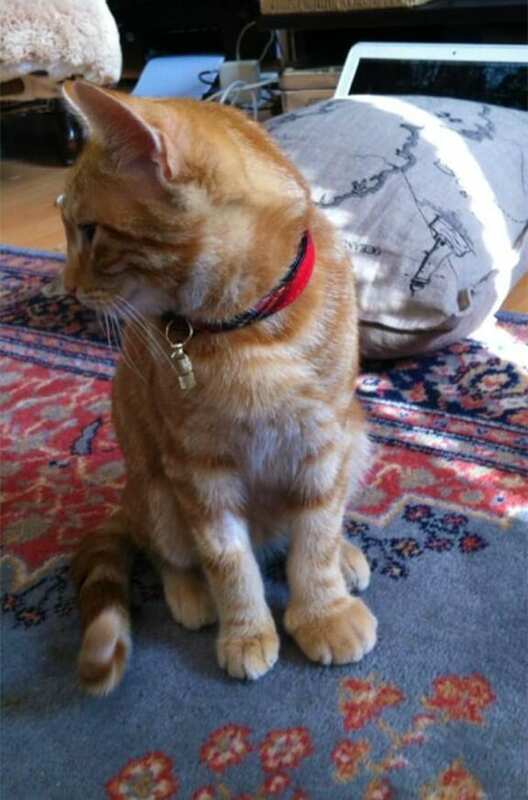 All hail the giant-pawed cat! I am sure that she would rather have a regular-sized paw than have to go through her ordeal again. Hopefully, she is a fast learner! 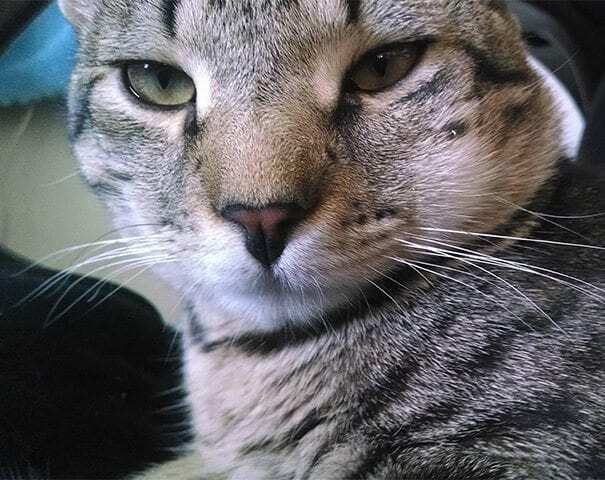 This cat couldn’t be more annoyed right now. But then again, chances are, this cat found herself in this situation due to her own actions. 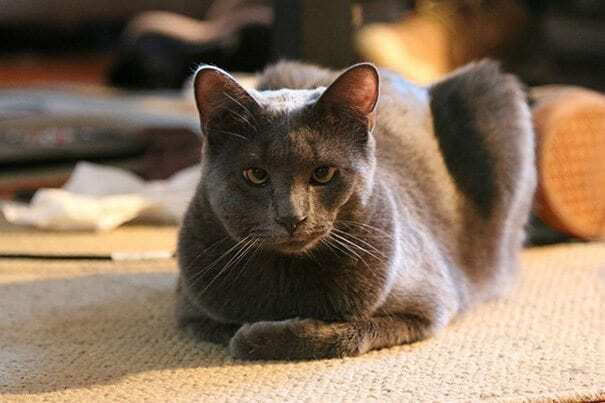 Many cats think they are in control right up until the moment they aren’t in control. This swollen face doesn’t look very fun. Curiosity didn’t pay off for this cat. Though it looks like her owner has everything in hand. Maybe next time she’ll mind her own business when she sees a bee. 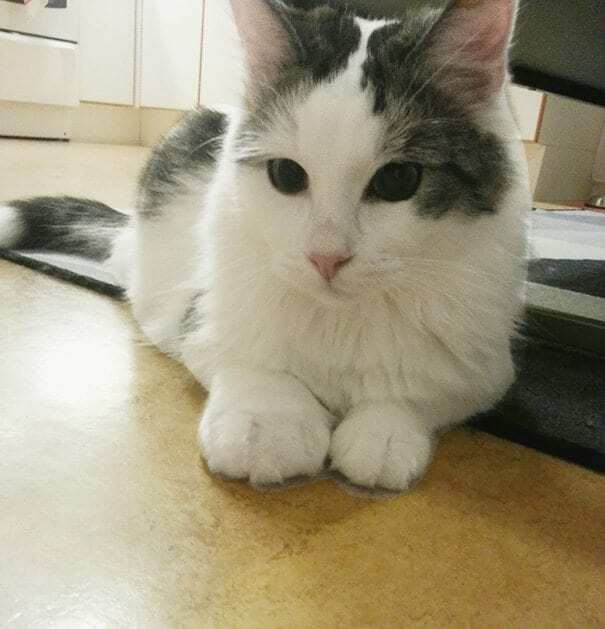 This bee encounter left this beautiful cat with a paw twice its normal size. Maybe it will help her catch some mice. Then again, it is probably too sore to use. Luckily, it should be better in no time so she can get back to what she does best, napping. 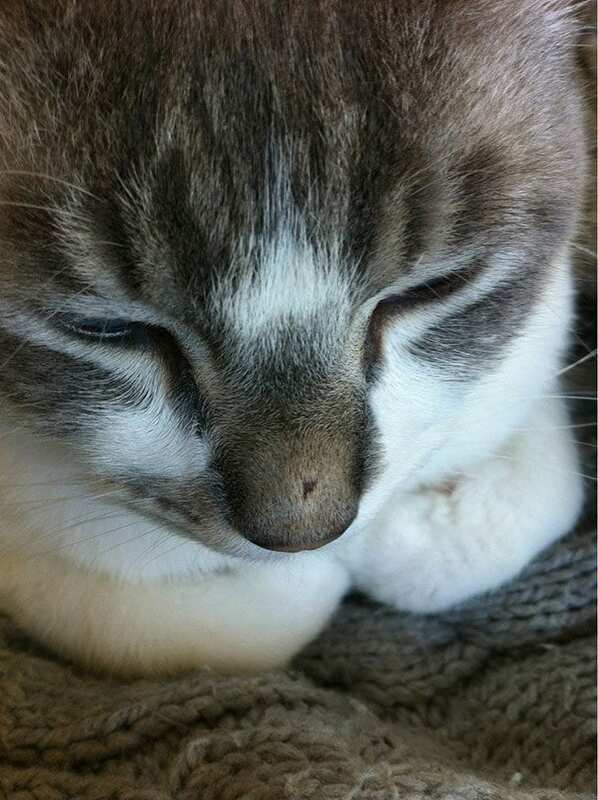 The pretty kitty’s paw has now turned into a boxing glove. I bet his name is Mohamed Catli, the wonder kid. He floats like a butterfly and stings like a bee, or, I guess in his case, gets stung by a bee. That paw looks like it weighs a ton! I’m curious if she can still walk on it. She must at least have a limp. I mean, seriously, look at the size of that thing! Hopefully, she has learned a valuable lesson. Something just isn’t quite right here. I can’t quite put my finger on it. 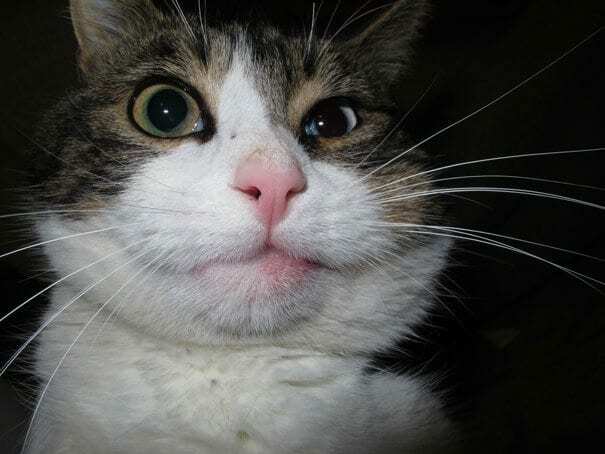 Either this kitty has a lopsided face or it got into it with a bee. My bets are on the bee, which looks like it won. I’m getting the feeling that cats aren’t very good at fighting bees. 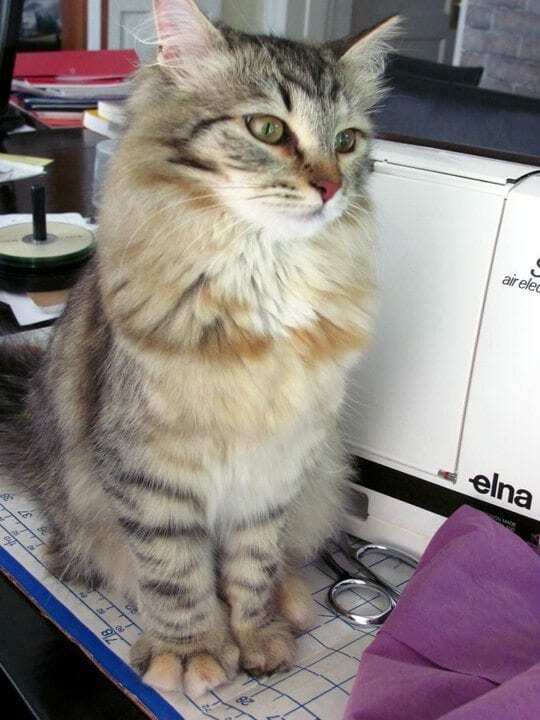 It seems that word would get out to all of the other cats out there to just leave the little buggers alone. But no, cats always have to have the last word. At least until they are running for their lives from an angry bee. It looks like this swollen feline might have decided to take a snooze on the grass and didn’t notice the bee. Next time it should stick to laying on the porch, or even inside where it is much safer. 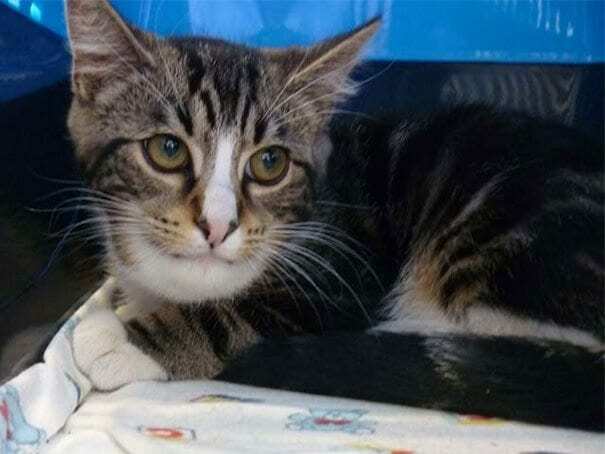 This sweet kitty’s name is Tatu. Tatu tried to snack on a bee. Of course, the bee got the better of her. Hey Tatu, note to self, do not eat any more bees, period. Also, if you must mess with a bee, make sure you can get away quickly. While not exactly from a bee, this cat has suffered a similar fate to the other cats on this list. This cat’s voluminous lips are thanks to a spider that it tried to eat — the spider fought back. Will they ever learn? Two cats. Same household. Not a fun day. I wonder if it was the same bee? Maybe the one cat was trying to save the other and got caught up in an obvious plan that went awry. I guess they both learned a hard lesson. No, that’s not an optical illusion. 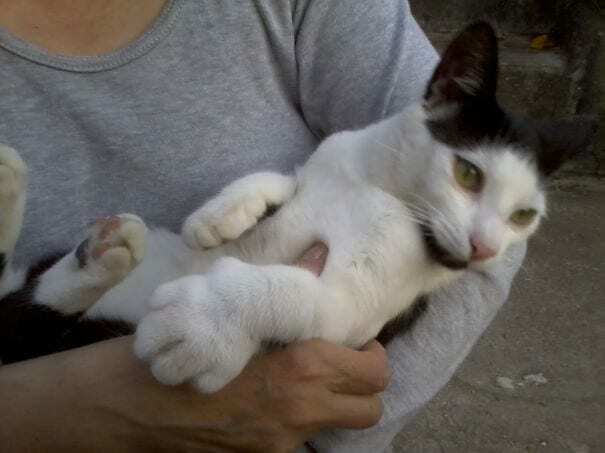 This poor cat’s paw is really that swollen. Her best bet is to lay there until she is all healed up. Of course, that means that her owner will have to take care of her. 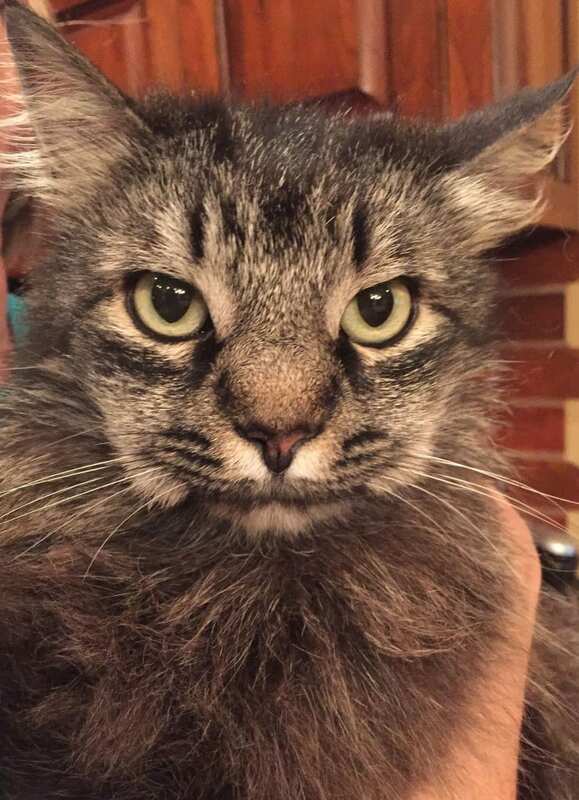 This cat was stung on the mouth, and he does not look happy about it at all. 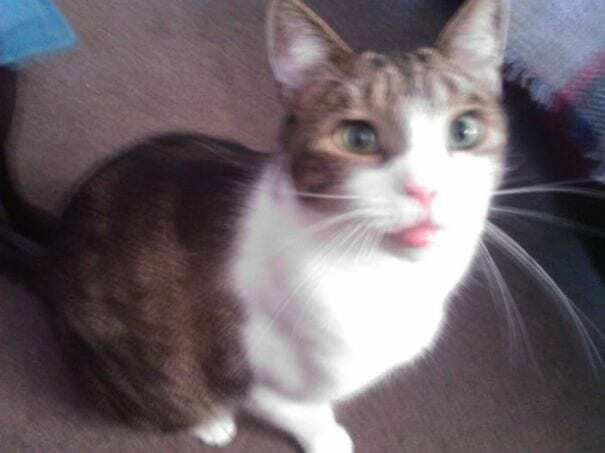 What is it with cats and letting bees near their mouth. Maybe next time she will avoid letting a bee near her head; though I’m not sure if a cat’s memory is that great. They do have nine lives after all. 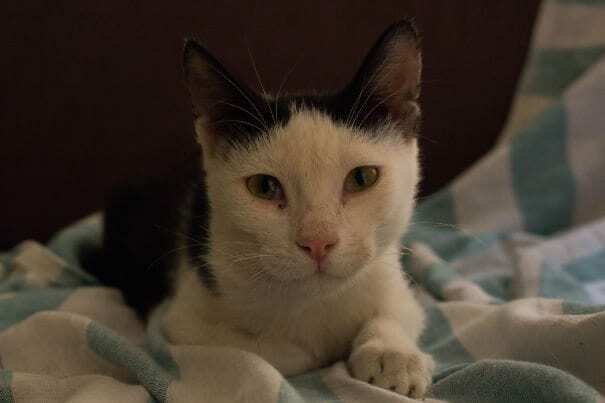 This kitty tried to eat some bees, and now it’s already-mushy face is even mushier. Either that or he’s related to Marlon Brando. 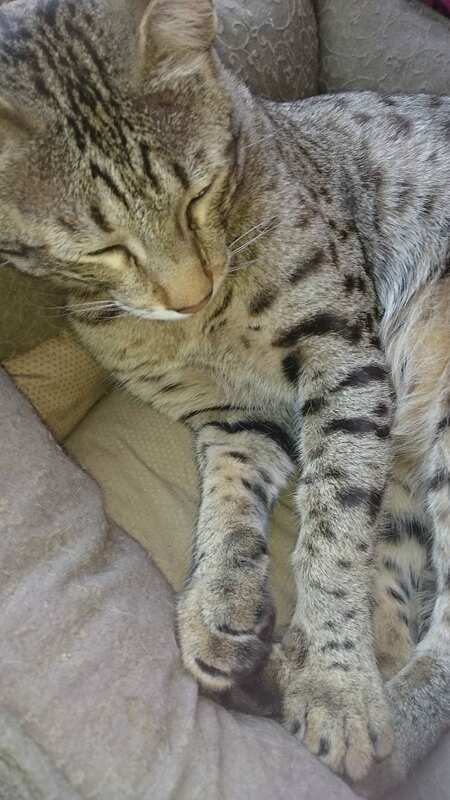 Maybe kitty has an offer that his owner can’t refuse, such as more tuna and getting rid of those mean bees. This is Fancy, and she decided to try to battle with a bee. If you haven’t guessed from the picture, she lost. She definitely needs to work on her fancy footwork if she ever wants to come out ahead when fighting a bee. 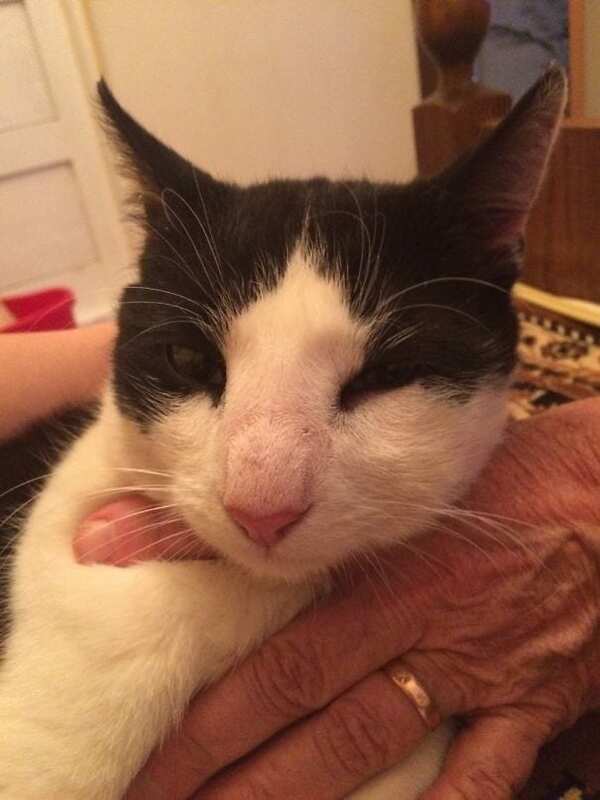 This poor cat looks like he is worn out after losing a fight with a bee. That is some hard work trying to get away from their little stingers. But now he is safe and sound at home. 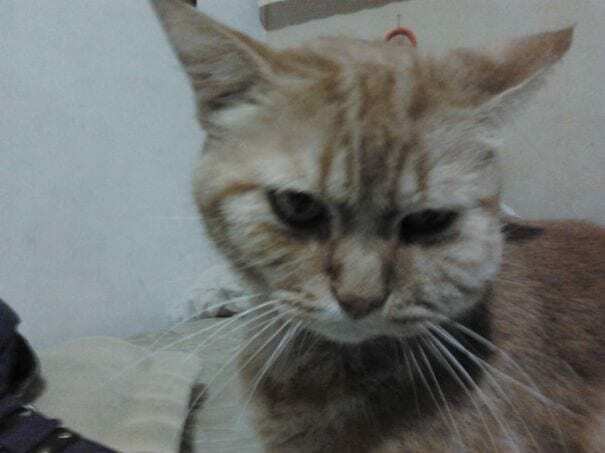 We’ve got a swollen-chinned cat here, folks. He ate a bee. Now it looks like his owner has gotten smart and has him on a leash to prevent another such incident. Hopefully, he is smart enough to avoid another fight. This cat is trying to play it cool and act like nothing is out of the ordinary here. 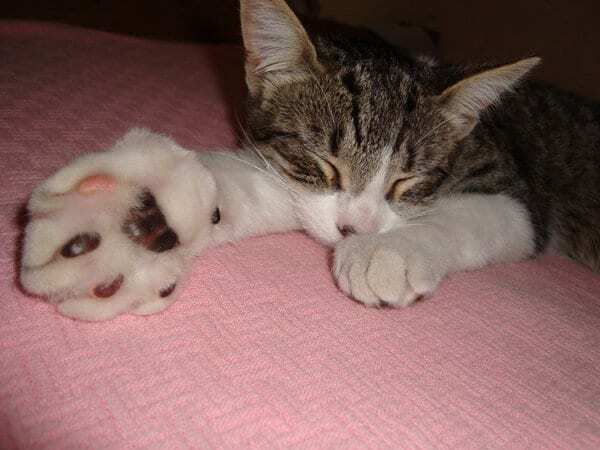 According to him, his paw has always been that size … the better to smack you with. 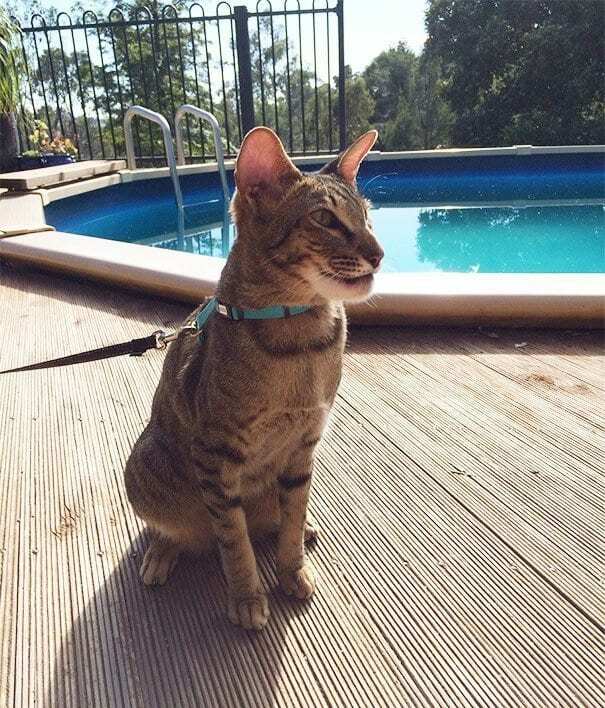 Just don’t tell him that you remember his frightened mewling as he ran from that scary bee. A fight with a bee turned into all sorts of awkward. I just wonder if many cats who get in a fight with a bee try to stick it out or realize the error of their ways immediately. Then it is nothing but paws and tails as the cat runs the other way. Here is another cat who obviously came out on the losing side of a battle with a bee. Such an ordeal can be strenuous and wear a poor cat out, as seen here. Then again everything must wear a cat out as much as they nap. This swollen, bee-stung cat is trying to play it cool and pretend like nothing happened. Of course, it is evident that something went down, but don’t let him know that you know. He has his pride after all. No, that is not Botox. 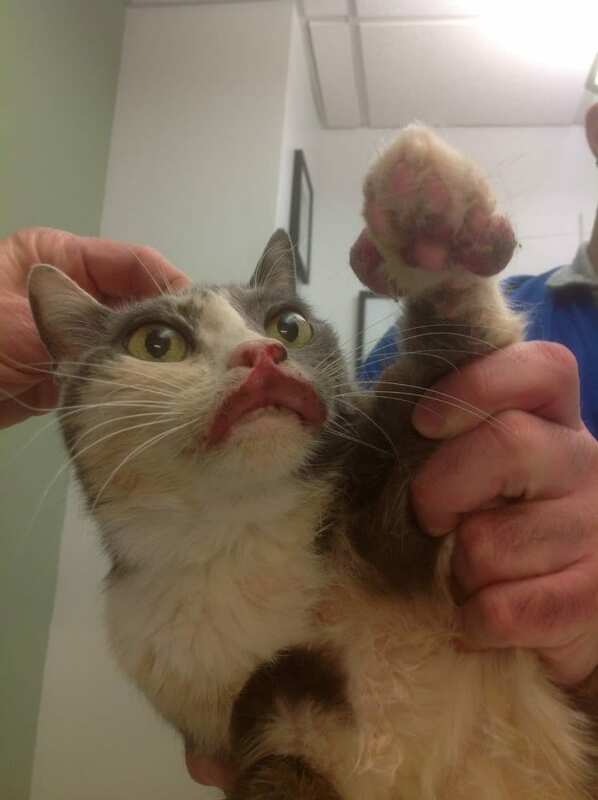 Here is another kitty who got stung on the lips. 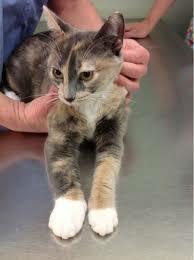 It also looks like she got stung on the paw, the face, and who knows where else. Maybe this cat should give up on fighting bees and become a bee lover instead. 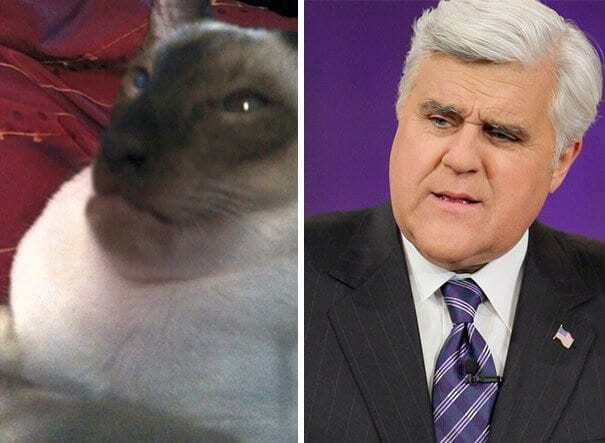 Here is a cat who looks like Jay Leno. The similarity is uncanny. 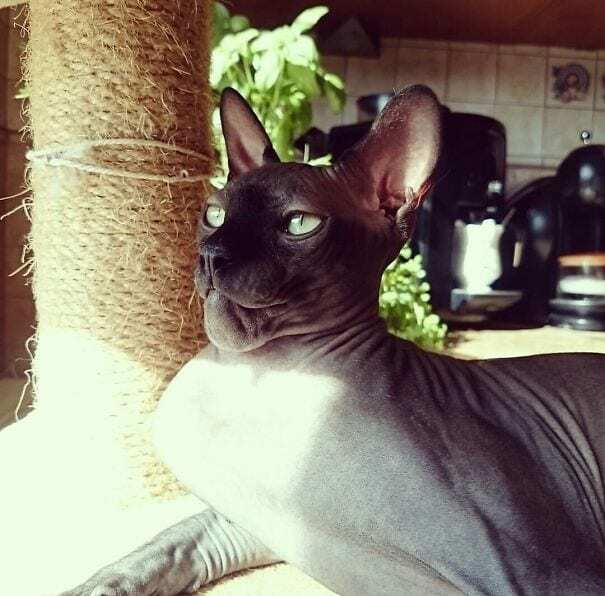 I mean look at that chin! Although I’m sure eating that wasp wasn’t very funny. 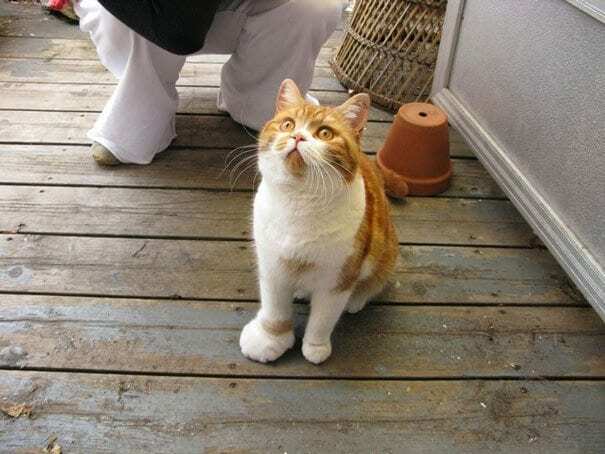 Maybe this cat has comedy in his future … or maybe he should just stay away from bees and wasps! 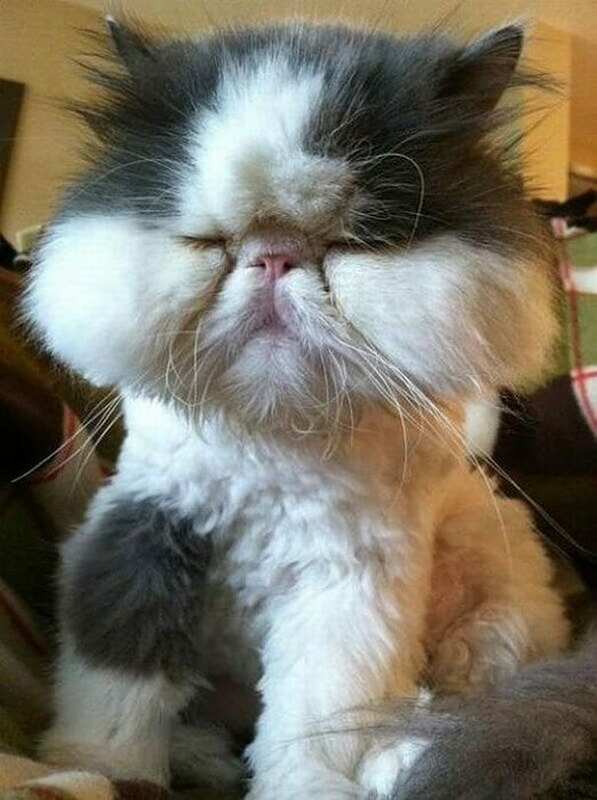 Here is another cat with an oversized chin that is the result of a tussle with a bee. Talk about taking it on the chin. 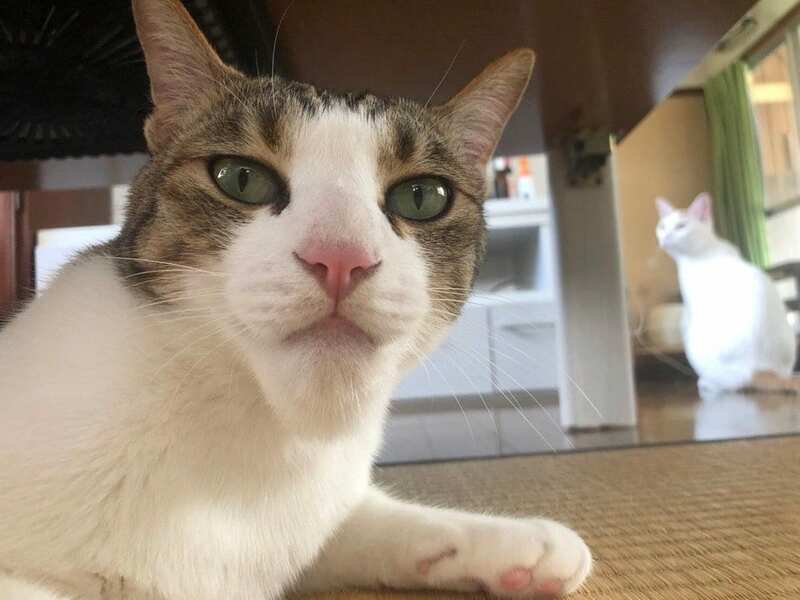 Actually, this cat should consider keeping his chin like this. It is a good look for him. We’re starting to notice a trend here — another sting in the chin causes this kitty to develop a pelican pouch. It almost looks he has a beard or a goatee. Maybe he is a tough biker cat who likes to get into it with rival bee biker gangs. Poor bee-stung cats and their fat lips. Here’s one who got into it with a bee and, as you can see by the results, came out on the losing end of that fight. Bee 1, cat 0. Oh. My. Goodness. What is even happening here?! 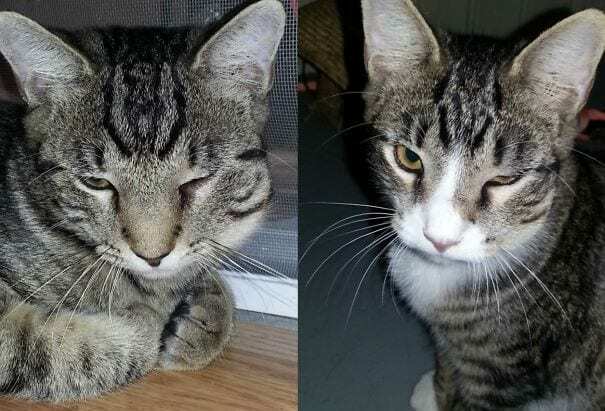 This cat’s bee-stung nose is adorably hilarious. He could even get a job as a circus clown, at least until the swelling went down. But, no worries, judging from his current condition, he is probably a clown anyways. It looks like this cat’s owner at least had the wherewithal to take him to the vet following his altercation with a bee. 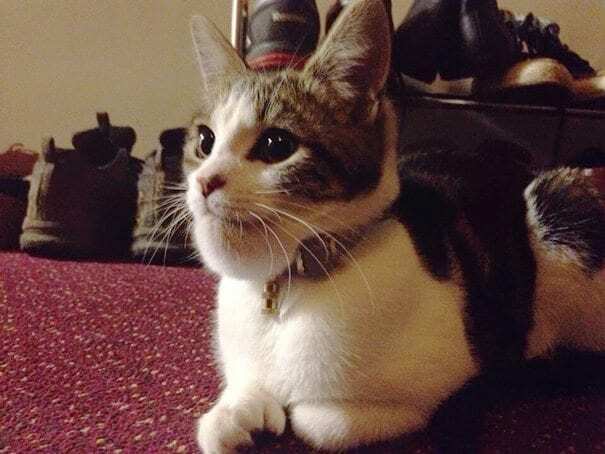 You never know how a cat will react to a bee sting, and so his owner decided to take the safe path. It seems he will be alright, except for his stung pride. This poor kitty seems to have gotten it on the paw. It seems like his ordeal also wore him out. A tough lesson for such a young life. I’m sure next time he will hesitate before he messes with anything new. 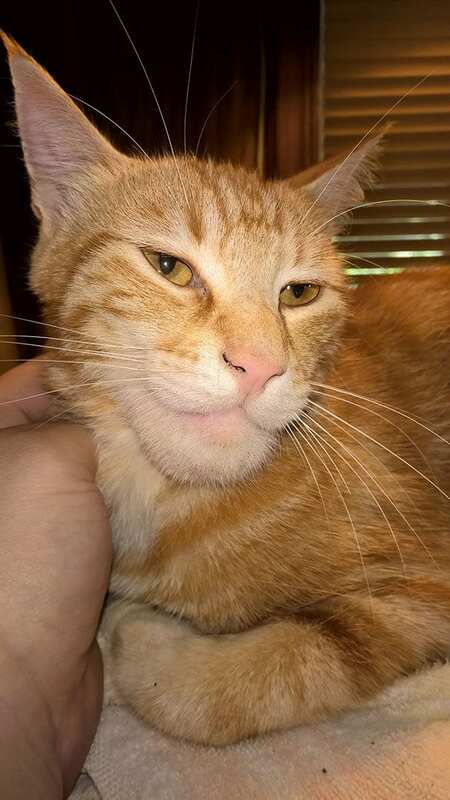 This cat’s swollen chin creates more of a Jay Leno look. He also seems to be enjoying the extra loving that his master is pouring on. Maybe they feel guilty for what happened. If they don’t, I am sure this cat will remind them of that fact often. 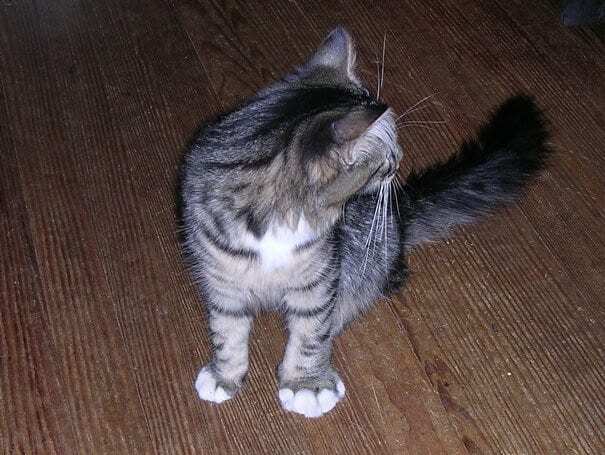 This cat is just wondering how one paw got so much bigger than the other. I don’t think he has quite put two and two together yet. Chances are it might take a few more bouts with bees to convince him of the errors of his ways.